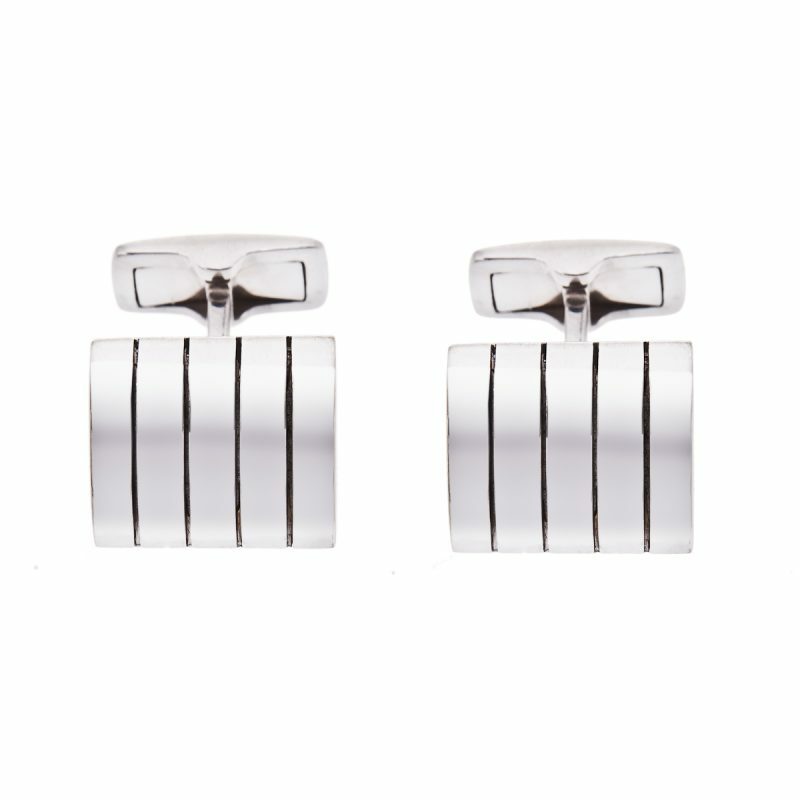 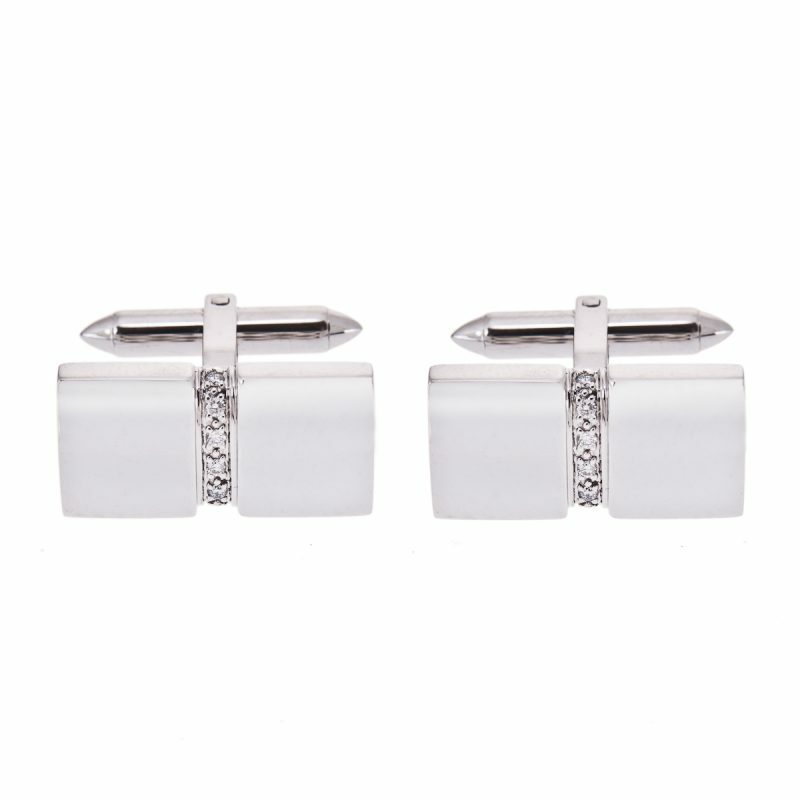 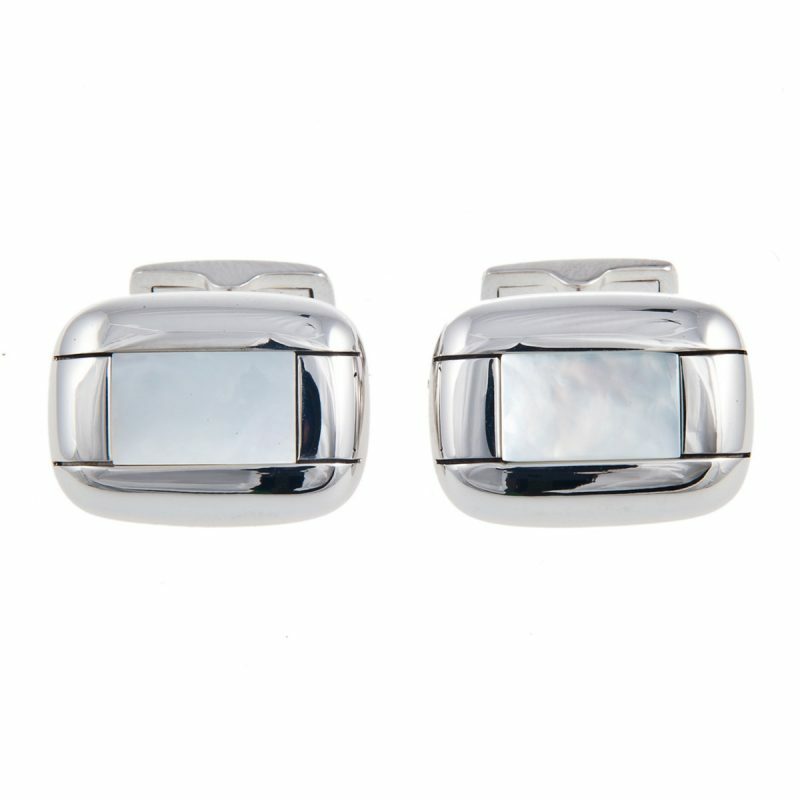 Square 18ct white gold satin textured diamond set cufflinks. 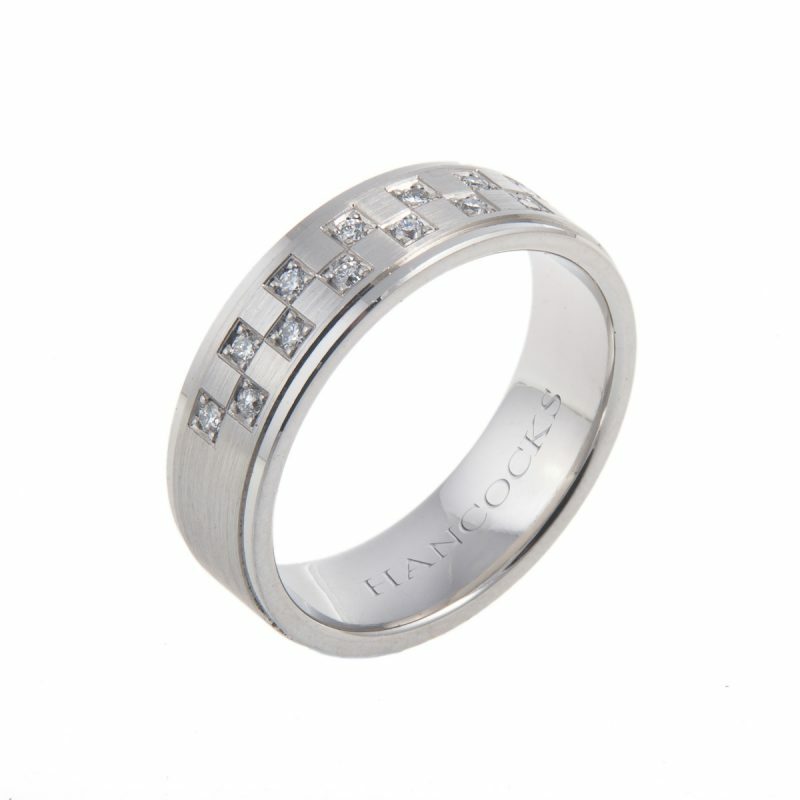 A subtle statement made in satin textured white gold with a bright corner stripe of brilliant cut diamonds. 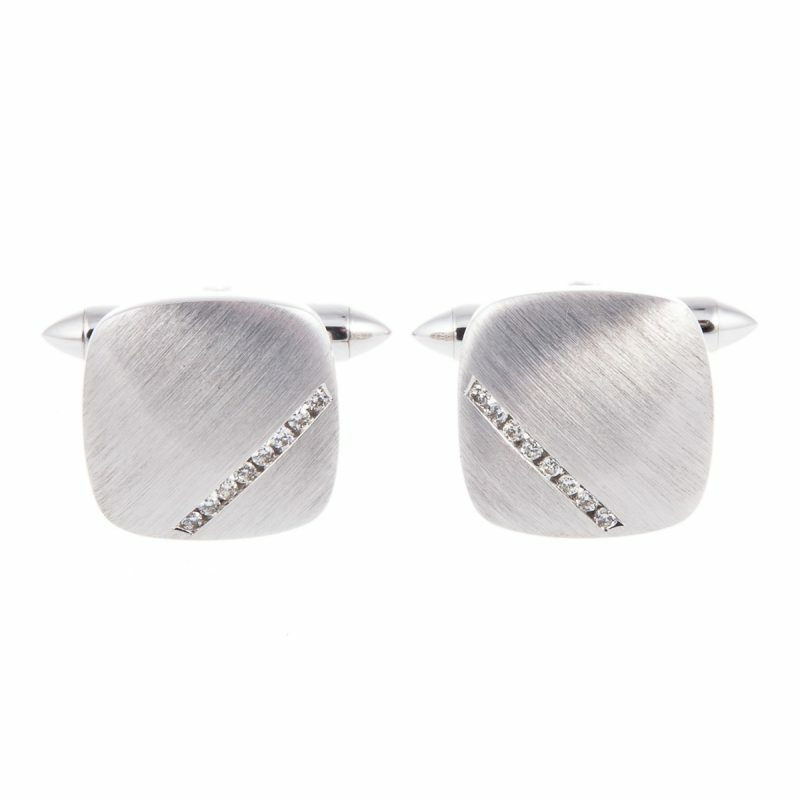 Your modern day hero will sparkle when dusk falls.